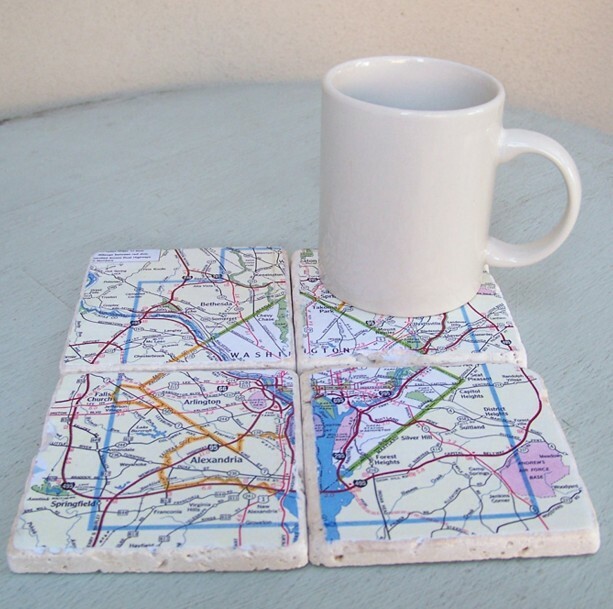 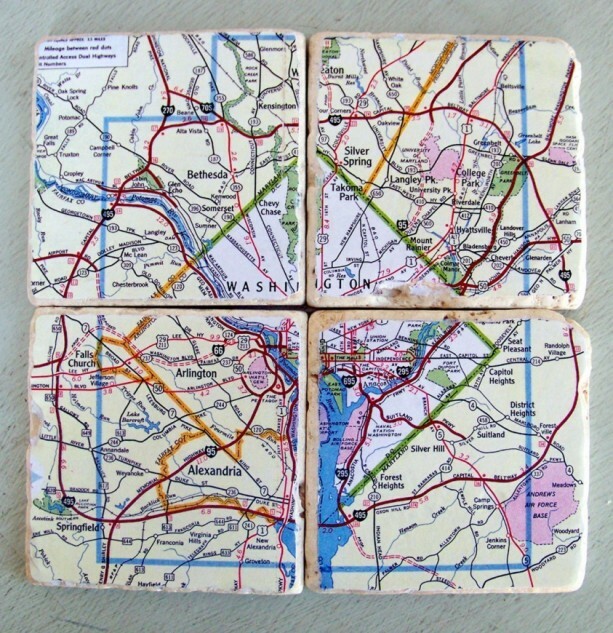 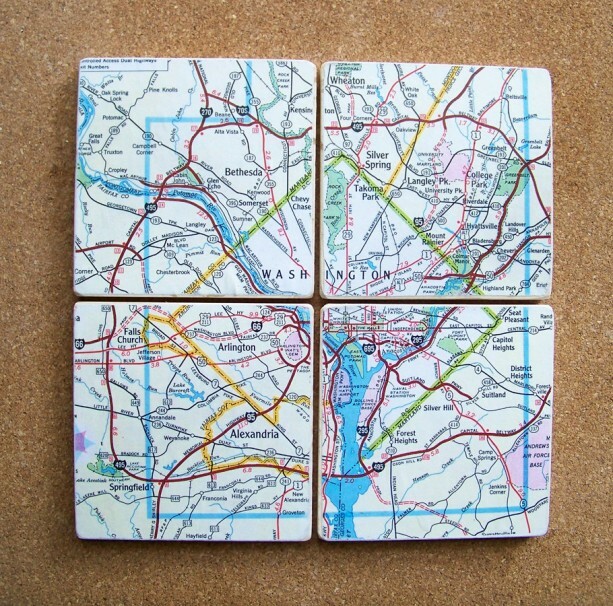 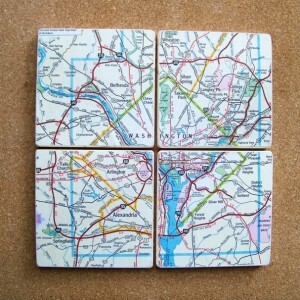 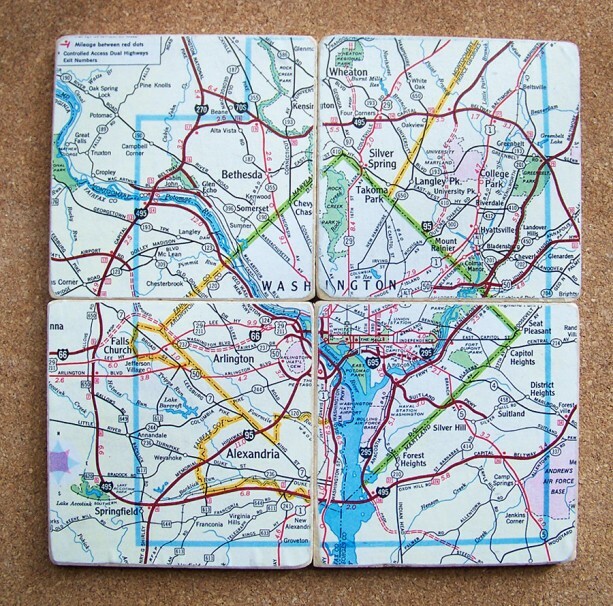 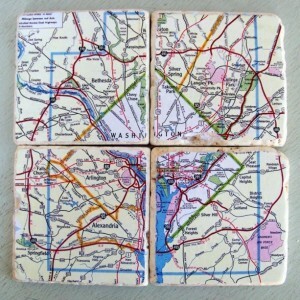 4 x 4 tumbled marble tiles are decoupaged with a colorful map of the nation's capitol, Washington, D.C. 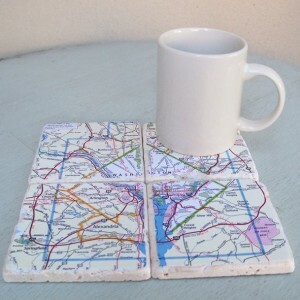 The coasters are protected with 3 coats of varnish on the top and cork on the bottom. 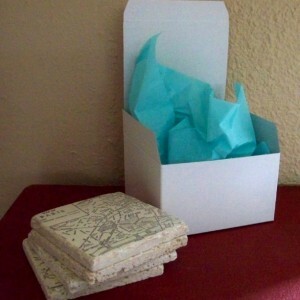 The set of 4 coasters is packed in a glossy, white gift box - ready for gift-giving. Made to order. 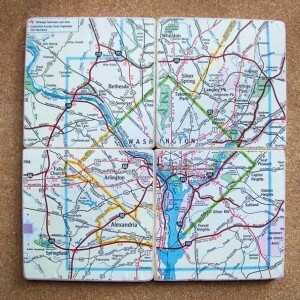 Will ship in 3-5 days.